Entering the first quarter of this year, the regional strategic activities (KSD) programmed by Jakarta Provincial Government have touched the target, especially in the economic sector.
" 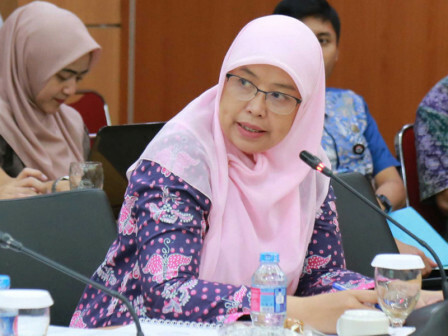 Its achievement is between 60-100 percent"
Jakarta's Economic and Finance Assistance, Sri Haryanti said that there are 28 KSDs with 307 action plans. Each KSD has five until ten action plans. "Its achievement is between 60-100 percent," she expressed, at City Hall, Thursday (4/11). Nevertheless she will work hard to push KSD which is still under 60 percent. Its validation is done by city secretary assistant and governors team for accelerated development (TGUPP). "It is still under process and delayed," she stated.